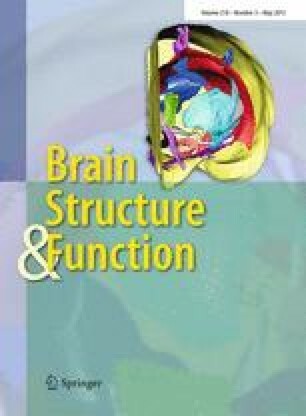 Cortical expansion, both in absolute terms and in relation to subcortical structures, is considered a major trend in mammalian brain evolution with important functional implications, given that cortical computations should add complexity and flexibility to information processing. Here, we investigate the numbers of neurons that compose 4 structures in the visual pathway across 11 non-human primate species to determine the scaling relationships that apply to these structures and among them. We find that primary visual cortex, area V1, as well as the superior colliculus (SC) and lateral geniculate nucleus scale in mass faster than they gain neurons. Areas V1 and MT gain neurons proportionately to the entire cerebral cortex, and represent fairly constant proportions of all cortical neurons (36 and 3 %, respectively), while V1 gains neurons much faster than both subcortical structures examined. Larger primate brains therefore have increased ratios of cortical to subcortical neurons involved in processing visual information, as observed in the auditory pathway, but have a constant proportion of cortical neurons dedicated to the primary visual representation, and a fairly constant ratio of about 45 times more neurons in primary visual than in primary auditory cortical areas. This research was supported by a grant from the NIH NS 16446 to JHK, and by grants from CNPq, Faperj, and the James S. McDonnell Foundation to SHH. This is publication number 1225 from the Duke University Lemur Center.